★ Outstanding Two-Track Deep-House EP As Charted “Track Of The Day” by Deep-House Charts! Polish Radek K also known by his stage name DJ Trackmaster, is back at Progrezo Records with a stunning two-track ep. He has started interested in electronic music at the age of 15, used to attend the legendary Bardo club which gave him passion to get into techno and house beats. In 2000 it was the debut behind turntables, taking him to reach N.1 place in 2001 in the Djs Championships in Lublin, with a residence in two largest clubs, Fabryka and 5 Element. In 2009 Radek K published his debut album "Down the shore" on Renno Records and the story continues. 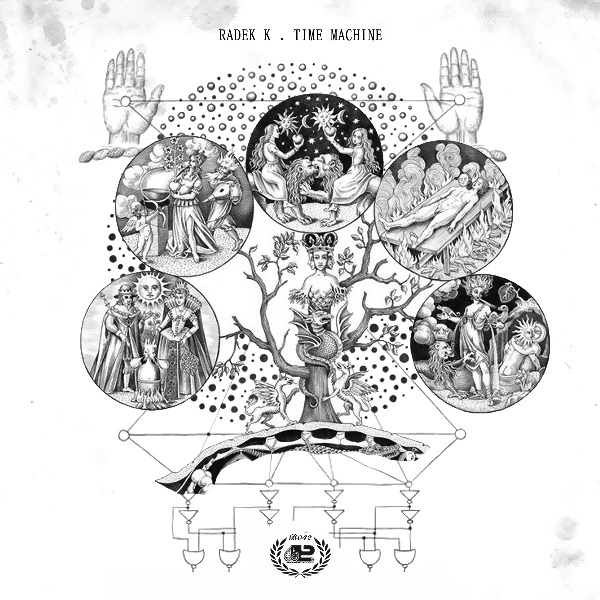 With quality skills and outstanding releases under his belt, Radek K delivers a new bomb straight to blow up first-class deep-house but techno and why not tech-house Dj sets as Time Machine proves. Here the Polish talent unveil why he is one the new tomorrows best talents to follow, delivering shaped arrows to the point. As eps called, Time Machine is an undeniable masterpiece from the beginning to end, full of tension and well crafted deep-house beats proper to highlight and make difference in the night. Adding a subtle but solid voice touch built over evolving bass-lines and cinematic but emotional synth shoots, Radek K brings a must-have pearl to any kind of classy Dj set and room. On the flip side is B4, a perfect pearl to fit a memorable two-side release proper not only to warm up the night but a trippy deep-house-techno tool suitable on forward-thinking sets and quality sound systems as it proves. Subtle but always dynamic, B4 is a perfect track to bring mysticism to the trip.